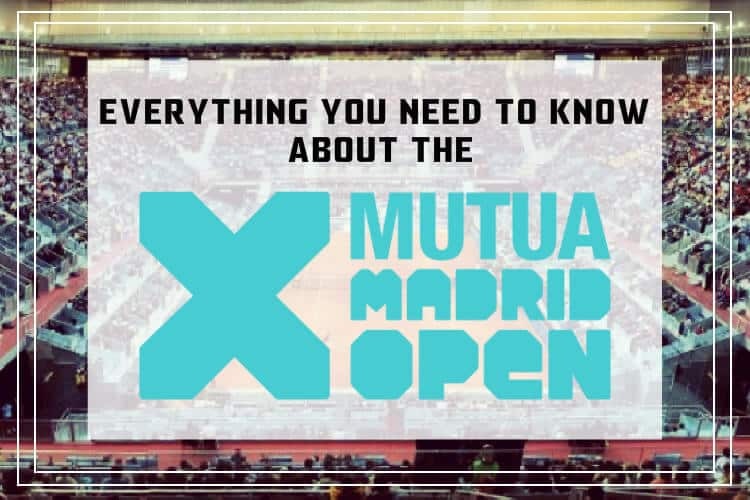 Everything You Need to Know About Madrid’s Mutua Open! Are you ready for some tennis? During the first and second weeks of May a huge event called the Madrid Open, sponsored by Mutua Madrileña is held here in our city. The event attracts the world’s best tennis players to come play in the Caja Mágica (Magic Box). The tournament is a Masters 1000 event in the men’s ATP circuit and a Premier Mandatory event in the women’s WTA circuit. It is only ranked slightly behind the Grand Slams in terms of importance. Interestingly, this is one of the few tournaments where men and women play at the same time. 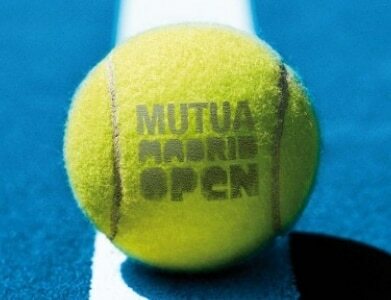 In 2009, the Mutua Madrid Open transitioned from hard court to clay and changed the venue to Caja Mágica. The venue was designed by Dominique Perrault and is an amazing and modern complex with three open-air courts with retractable roofs. The tournament is traditionally played on a red clay surface. The ATP decided against playing on blue courts for the 2013 edition despite having been played on in 2012 tournament edition in part due to boycotts from players such as Rafael Nadal and Novak Djokovic. Spaniards have won the title six times since the inaugural edition in 2002. Fun fact, Rafael Nadal won the trophy for a fifth time in 2017. This tournament is regularly attended by Madrid footballers (soccer players) so keep an eye out for Cristiano Ronaldo – he often sits court side. It starts on Friday May 3rd and goes until Sunday May 12th. Tickets are still available with some as low as 7€. Central Court (Manolo Santana Stadium) – gives access to the Center Court, Stadium 2, and the remaining courts. (Except on Tuesday, Wednesday, and Thursday when another ticket is required to access Stadium 2). This ticket can be bought online. Stadium 2 (Arantxa Sanchez Vicario Stadium) – gives access on Tuesday, Wednesday, and Thursday of the tournament to Stadium 2, as well as all other courts (other than the Central Court). This ticket can only be bought at the box office at Caja Magica during the tournament. Grounds Pass – this ticket allows access to Stadium 2 and other tracks (other than the Central Court). This pass is valid on all days, other than Tuesday, Wednesday, and Thursday. On these days, you’ll only have entry to Stadium 3 and outdoor courts with a grounds pass. Premium Seats – This exclusive space will “combine leisure, sport, and networking,” according to the Mutua Open website. This new space will be able to accommodate over 380 fans per day. This ticket can be bought online. The first session is the day session and typically starts around 10:30 am and the second session is the night session, which begins at 8:00 pm. To make sure you see the stars and your favorites, be sure to check both the order of play and training schedule the day before you go. The 2019 schedule hasn’t come out yet, but check back soon, and we will update this page when it does!